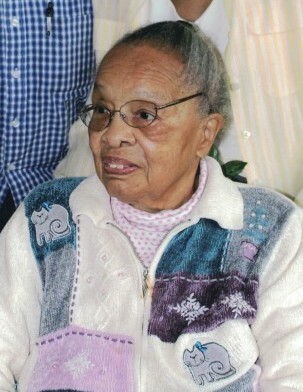 Pearl Norman Hill transitioned on Sunday March 31, 2019 in Coudersport, PA. She was 97 years of age. Mother Pearl was born to Sim Norm and Lina Mae Goosbey on February 10, 1922 in Alberton, Georgia. During her life time she retired from Quartermasters. She leaves to mourn her passing , a daughter, Ernestine Avery (Joe); granddaughter, Tammaryn Goodwill (Phil) and other relatives and friends. A funeral service will be held on Tuesday April 9, 2019 at Ervina White Beauford Funeral Service, PC 2134 Stenton Avenue, Philadelphia, PA 19138. The viewing will begin at 9:00 am with the service to follow at 11:00 am. Burial will be at Greenmount Cemetery 4301 North Front Street, Philadelphia, PA 19140. Please remember the family in your prayers.